we believe in the simple, but profound idea that your body is naturally powerful and, with a little help, and in almost every situation, your body can heal itself. Our treatments are customized to the individual, from personalized herbal formulas to deciding which type of acupuncture will be most effective for you. We also offer corporate events with the aim of empowering and educating thousands of additional people to all the benefits that traditional Chinese medicine (TCM) has to offer. Alaethia Doctor is the best acupuncturist I have ever encountered. She cured in one session what Western doctors had been puzzled about for three months. She has my highest recommendation. This is where we discuss everything from burning issues and new discoveries to simple, time-tested tips for being a healthier, better you. A poll on your favorite ways to destress...and more. You can check out our blog here! Alaethia Doctor graduated from Pacific College of Oriental Medicine with a degree in acupuncture and herbal therapy. She also pursued her massage and Asian body therapy certification which gives her a well-rounded approach to the body. She adapts classic strategies to combat modern-day illnesses. ACUPUNCTURE works under the theory that the imbalances caused by diet, lifestyle, environment and genetics can be corrected with thin needles inserted at key points. The body is powerful and Qi is the life force: from the air you breathe, to the food you eat, to the interconnections that you have. 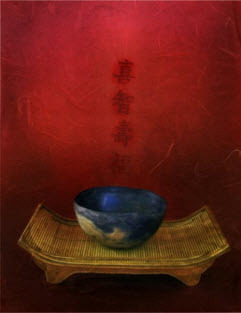 (Qi was originally the same character as a bowl of rice, since Qi is really just anything that nourishes your body). When you are well, the Qi flows smoothly; the better the energy travels, the better you feel. But when Qi is blocked, your body needs the human equivalent of a computer reset. The (tiny, really!) acupuncture needles help balance the meridians so that Qi once again flows and the body can heal itself! For a more complete explanation of qi, look here. HERBAL therapy is a plant based therapy that combines different herbs and is tailored to the individual. There is a saying ‘same cure, different disease, same disease, different cure’. The observation of the individual is key to understanding the relationship that person has to themselves and their surroundings. Every formula is personalized. For more information on herbology and its Western implications, please look here. We are conveniently located on 98th Street on Manhattan's Upper West Side near the 1,2,3,B and C train lines.